Here at Shelton, we are experts in sports turf drainage, with a wealth of experience and have developed, from drawing board to manufacture, over 15 specialist machinery products specifically for the efficient and successful drainage of sports turf and playing fields. 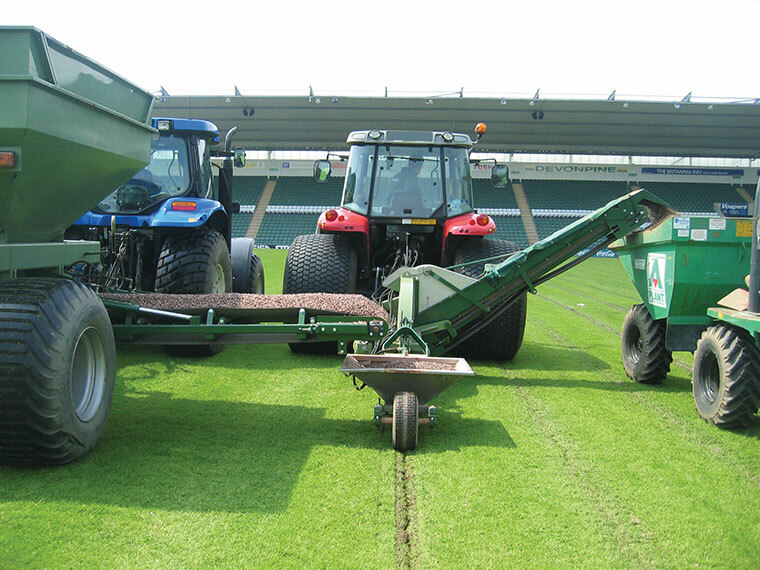 All our sportsturf drainage machinery is designed for protecting delicate sports turf surfaces whilst in use. Our products are ideal for solving drainage problems on any turfed playing surface, including football and rugby pitches, cricket grounds, racecourses, polo pitches, bowling greens, university, college and school sports fields and are also effectively used in landscaping. Over the years we have been able to solve almost every drainage problem presented to us. If you can’t find what you are looking for on our website or have any questions at all about our sportsturf drainage products or services please don’t hesitate to contact us we will be happy to help. “During wet weather we suffered many closures due to our course being built on heavy clay. into the 4th & 5th fairways, the results have been superb.